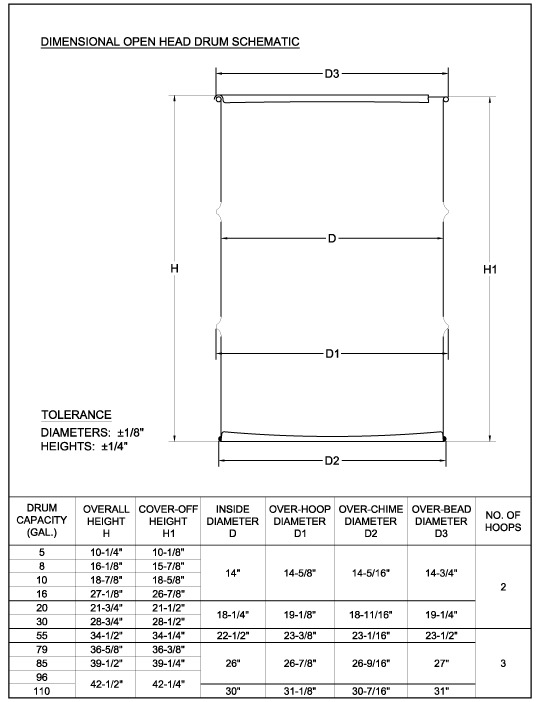 UN and DOT Approved Steel Drums These drums are designed, manufactured and certified to meet UN requirements under DOT 49CFR. Constructed of high quality, cold rolled commercial quality steel. 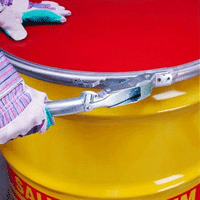 All drums are coated with a rust inhibitor lining with the option of a chemical-resistant epoxy lining. Open headed drums have sponge rubber gasket, bolt ring and bolt/nut. Closed-headed drums have 2” and 3/4” plugs in the top head. Standard color is black with white cover. F.O.B IL. 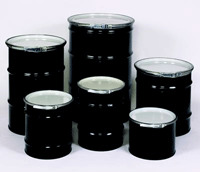 Refurbished drums are available minimum order is 50 drums. The cheapest way to ship drums is in quanity of about 288 - truck load. Please call ZORIN (888) 378-6525 for a quote. 55 gallon - Diameter: 22.5", Height 33"
30 gallon - Diameter: 18.25", Height 27.5"
20 gallon - Diameter: 18.25", Height 19.25"
16 gallon - Diameter: 14", Height 27"
10 gallon - Diameter: 14", Height 17"
8 gallon - Diameter: 14", Height 14"
5 gallon - Diameter: 14", Height 10"
The dimensions shown on chart are for reference purposes only. 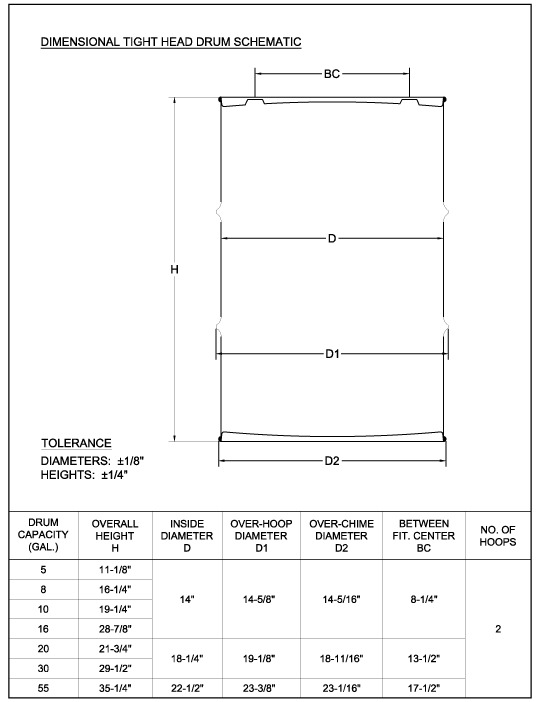 Should you have critical tolerance or dimensional requirements, please call a sales representative. . Optional Lever Lock - Capacity: 5-96 US Gallons - Description Innovative new UN qualified drum ring that eliminates the need for tools and takes the guesswork out of complying with technical closure instructions. The quick-lever closure secures easily, with no need to measure torque or ring gap.